This week Shenmue composer Ryuji Iuchi performed in a special evening concert featuring the erhu (a two-stringed instrument also known as a "Chinese violin"), an instrument whose sound is so memorable from the soundtrack of the first two Shenmue games. The venue was the intimate interior of the Discovery Park planetarium, and with a capacity of 165 attendees the concert the event was of course sold out well in advance. The planetarium is located in Yaizu city, Shizuoka, which is Hiroko Suzuki's hometown. 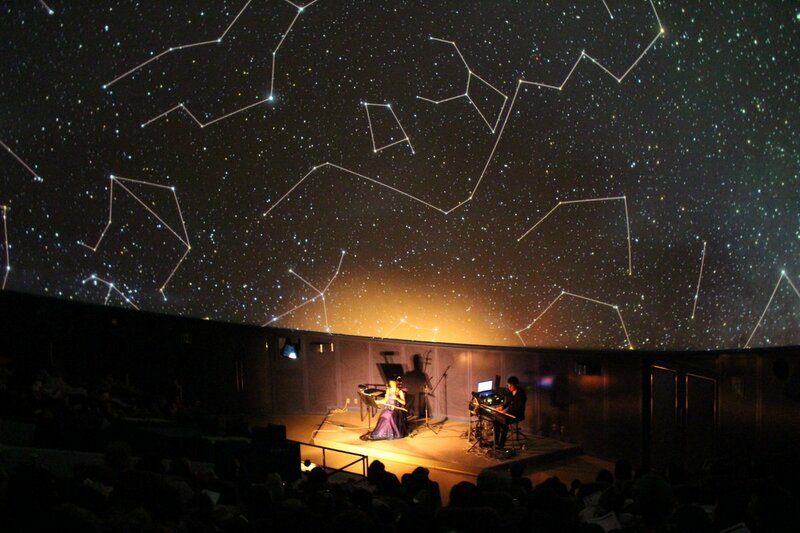 The photos below from the planetarium's Twitter account, show the magical atmosphere of the event. "I had the privilege of accompanying erhu instrumentalist Hiroko Suzuki. 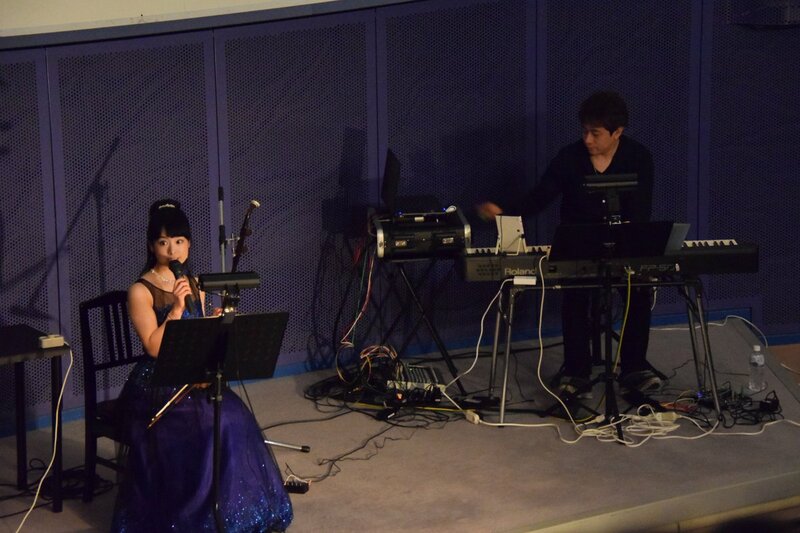 Suzuki-san's erhu together with the images that extended above us were wonderful! And the test pattern image for the adjustment of the planetarium's image equipment that extended above us during our rehearsal was also memorable!" Ryuji Iuchi was one of the original music composers for Shenmue, creating Shenhua's theme song (Shenhua ~ Sedge Flower ~) and over a hundred other pieces for the first two Shenmue games. He is now composing for Shenmue 3. Hiroko Suzuki is an award-winning erhu performer who has been playing the erhu since the age of 13. She graduated from the Central Conservatory of Music in Beijing, China and now travels around Japan performing and teaching the erhu to introduce others to the wonderfulness of the instrument. "Village and Waterside in the Forest"
You may also recall from a previous blog post that Ryuji Iuchi composed and made publicly available an inspiring piece of music featuring the erhu in 2016 with a strong Shenmue vibe, entitled "Village and Waterside in the Forest." The erhu music in this piece was also performed by Hiroko Suzuki. Ryuji first recorded the backing track, then sent this to Hiroko who recorded the erhu separately, and the tracks were overlaid to form the final piece. Also Shenmue Master have a fascinating interview with Ryuji Iuchi and other Shenmue composers about their experience working on the first Shenmue games.